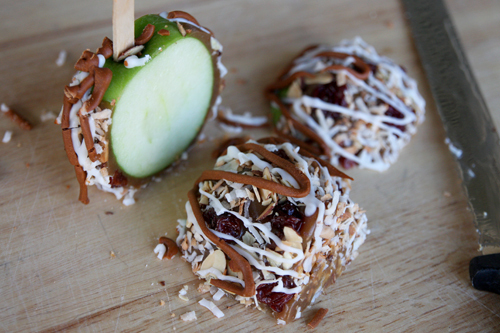 We love making caramel apples around here. LOVE them! but I have never once made my own caramel sauce. I just unwrap a million store bought caramels. It just seemed too complicated to make my own, but this caramel dipping sauce recipe from Our Best Bites actually looks easier than unwrapping a couple hundred caramel candies. I would tell you that caramel apples make great gifts, but I wouldn't know. We always end up eating all of the ones that we make. 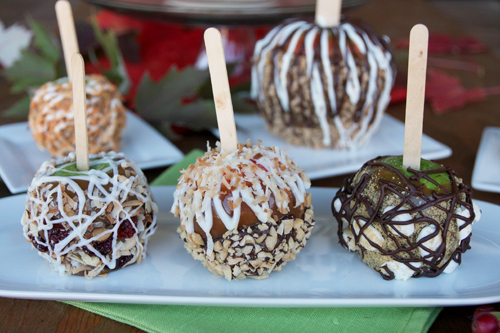 If after looking at these apples you are ready to make some right now you can head over and get the recipe and check out all of the gourmet style dipped apples over at Our Best Bites.